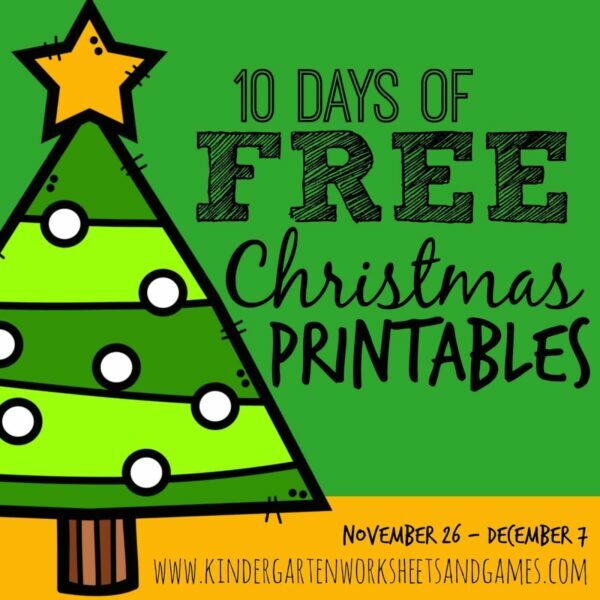 These super cute, free printable Alphabet Ornaments Trace & Erase are a fun way for kids to practice writing both uppercase and lowercase letters. 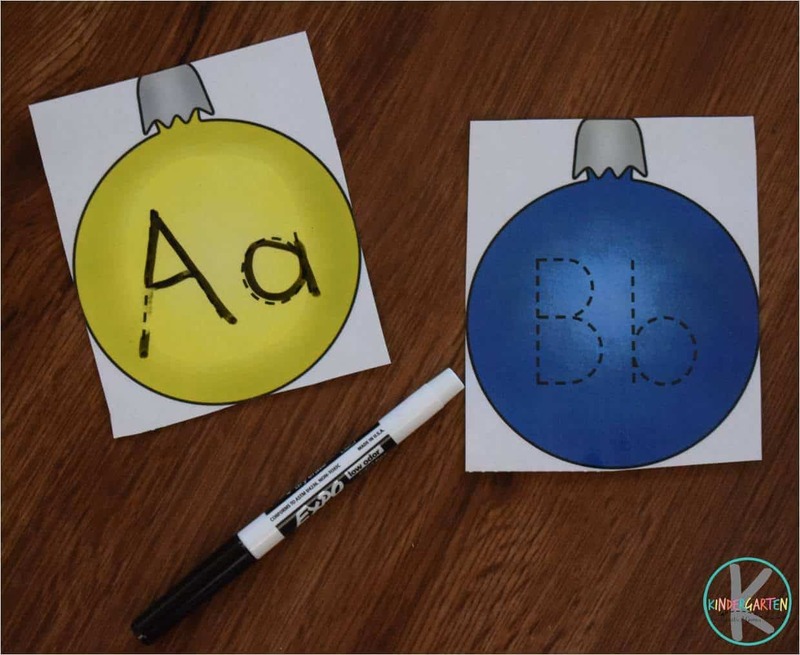 This is such a fun, practical, and educational Christmas activity. 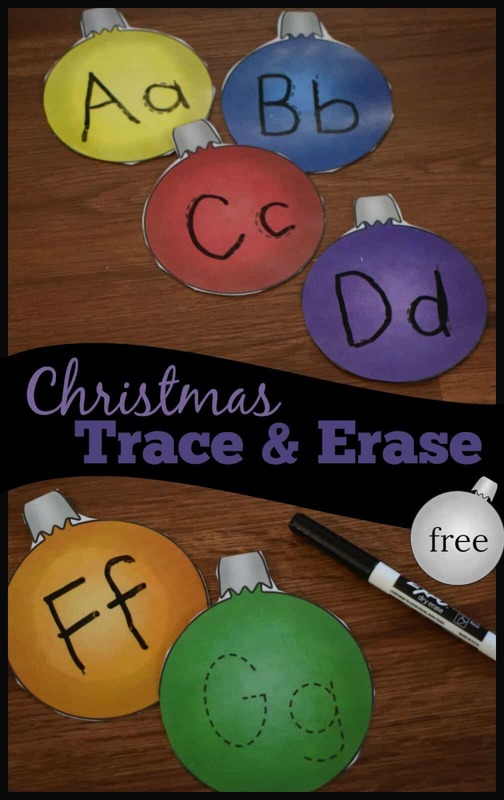 This Alphabet Ornaments Trace & Erase activity is such a fun, LOW PREP activity that offers great practice for preschool and kindergarten age kids who are learning to write their letters. Simply print the free download below in color. Laminate the ornaments and cut apart on the dotted line. 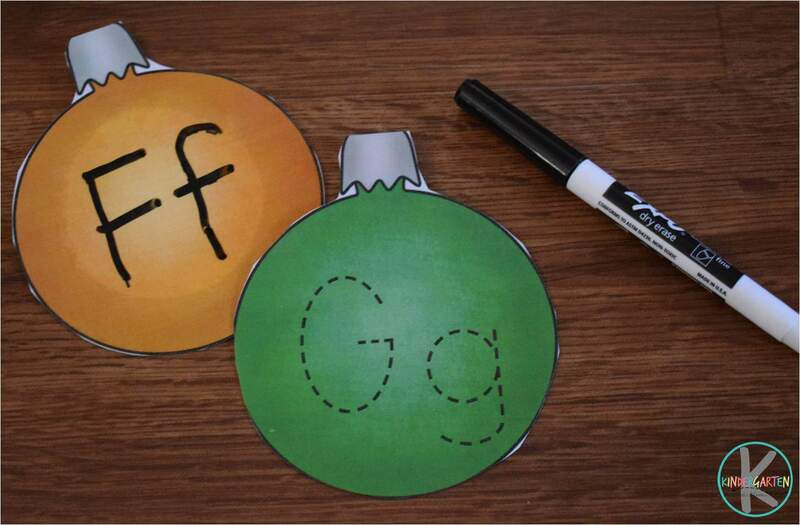 Finally, set out the ornaments with with a dry erase marker and you are ready for some fun, festive practice. Kids can go one at a time and practice tracing the uppercase and lowercase letters. This Christmas activity is so versatile. It can also be used to practice alphabetical order. 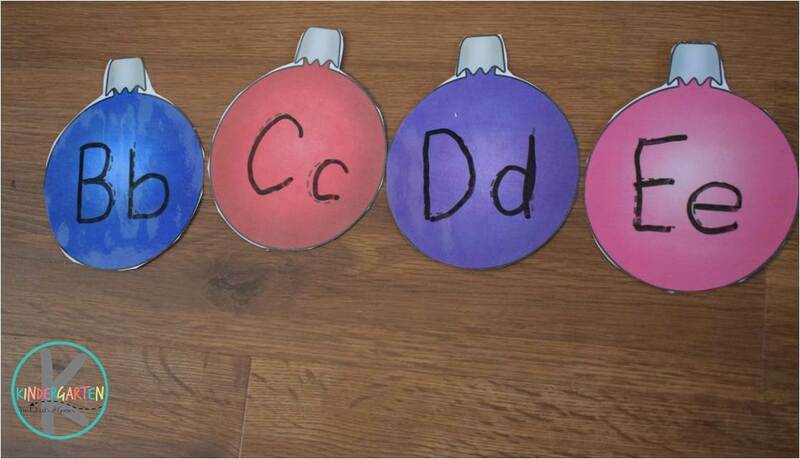 Have students line up the ornaments in order from A to Z. Or, if you prefer, hole punch the top of each ornament and string them up using ribbon or yarn. These can adorn your school wall or tree to make a festive and educational Christmas decoration.